There are a number of very intriguing-looking puzzle hunt competitions of various scales either in progress or coming up soon. 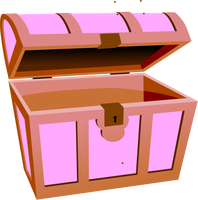 Will you break any of the metaphorical treasure chests to be found? The @MrHydeAndSeek account on Twitter has a series of picture-driven treasure hunt competitions, just for fun. You can get a sense of the game’s conventions by looking over past hunts; in an example of excellent practice, each previous hunt is explained, with full descriptions of the precise subtleties in each of the clues. The clue-writing seems very precise and as imaginative as you would hope. This site has written about this year’s Pablo’s Armchair Treasure Hunt previously, but more information has very recently been made available; specifically, the poster has been released, with further pointers towards a Hitchhiker’s Guide to the Galaxy theme. Plenty to start work on already: what looks like some braille, some binary, a DNA strand, several pictures and quite possibly some other encrypted information as well. The actual full body of the hunt is released on December 19th and you’ll have three and a half weeks to put your answer together. If you’d like a hunt with a prize, and if you live in London, then perhaps Gold Hunt London might be for you. A specially-engraved gold bar currently valued at over £5,000 has been (or, perhaps, is about to be) hidden somewhere in London. Buy an e-book for £3.99 and maybe you will be the one to decode its clues and find the gold bar’s whereabouts. The book suggests that it may provide suggestions for interesting and little-known places to visit in London even if the competition doesn’t catch your eye. You can pre-order the e-book now; the game goes afoot on December 17th. Arguably bigger still is the one event where the world’s puzzle hunters focus on the enigma of all enigmas for a single weekend. Teams of handfuls-to-hundreds (well, the biggest teams number more than a hundred) attack the 100-150-ish double-black-diamond-difficulty no-holds-barred puzzles of what will be the 35th annual MIT Mystery Hunt, and this year’s event is set to take place, as tradition dictates, on the weekend starting with the Friday before Martin Luther King day, so the 2015 hunt starts on January 16th. More about this to follow. Further ahead, for your diary, one of this site’s 2014 highlights was playing in the London leg of the DASH puzzle hunt and writing alllll about it, both before and afterwards. The DASH Facebook page has confirmed that 2015’s date will be May 30th, so there are precisely 26 weeks to go. No cities have yet been announced, but rest assured if a city anywhere in the UK is running a leg then this site will announce it at such great volume that you won’t need to visit the site in order to hear the DASH alarm. It would appear that a certain well-known owl has made some very unwise decisions, wound up cross-eyed and fallen over. Perhaps he has decided to celebrate (American) Thanksgiving by introducing himself to WHISKEY. Foolish owl. What has inspired this parody? Well, a certain review aggregation site which shall remain nameless has decided to recategorise the exit games that this site covers from being attractions to being activities. This is clearly a political decision, if not a party political one, and it seems that the activities category faces rather… tougher competition than the attractions one. 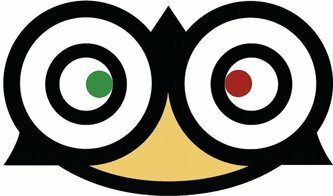 Some outstanding sites with a hard-earned reputation arising from many, many excellent reviews have found themselves relegated from #1 in their field to, er, rather lower. This does not reflect the sites getting worse in any way, shape or form, but does spell bad news for the visibility of the industry as a whole. What can be done about this? Well, theoretically this support answer suggests that it might be possible to claim that “A listing has wrong information or is categorized incorrectly” and get sites’ categories changed back from activity to attraction. On the other hand, while most people will not have access to one particular private forum, one of the top questions is Why has my listing been moved to the Activities Tab? – to which the answer begins A recent update to the site has moved some businesses over to the Activities tab. It is not a mistake and an intentional re-categorization (…) It may well not be specific towards exit games in any way, shape or form. 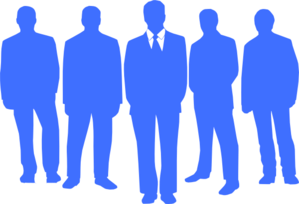 Suggestions for a better graphic, in the public domain, that more accurately and positively reflects the diversity of the workforce would be welcome; there are far more traditionally male sets of clothing and body shapes above than would be at all representative. There is a model of an exit game as being operated by a sole proprietor, or better still a couple, where the extremely small team miraculously has a very wide collection of skills, does everything themselves and only has to pay themselves. Many exit games start off that way. However, when games become more successful, expanding the business by taking on more staff becomes essential. It would be a fair criticism of this site that it may play into the stereotype of sole proprietor as superhero; all the interviews so far have been with proprietors or CEOs, when in truth they’re only one part of the team, and may well be far from being on the front line for a great proportion of their day. Many exit games which have great reviews earn specific praise for the friendliness of their staff and the quality of their service. At least in bigger sites, that may not be down to the proprietors, that may be down to the staff. This site hopes that the staff can take as much pride in their site’s success as the management do. This site gets the impression that many, even relatively successful, sites are not yet earning very substantial revenues, so fears that the exit game industry is not yet one that can necessarily pay its staff particularly well. This may well be reasonably common for a customer service job. Hopefully the degree of fun that both staff and customers have may make this relatively pleasant as customer service jobs go, and hopefully the best staff can be recognised and rewarded, and good practice can be shared within sites and more widely around the industry. Several site proprietors read this site from time to time; it’s not clear whether site employees do, too. If you are an employee and you do read this, THANK YOU! It’s the people on the front line who are responsible for so much of the success of the industry. Perspectives of what it’s like to work at a site would be extremely welcome and pseudonyms will be respected. Some longer posts, some shorter ones. 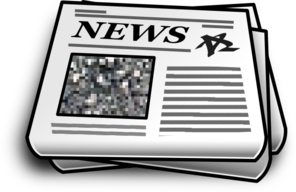 Here’s a quick round-up of recent mass media stories about exit games. Can You Escape of Edinburgh have a preview in the Edinburgh Reporter, which reveals three interesting things that this site did not previously know: a leaderboard of fastest escape times is at least implied, the venue has plans to double in capacity from one room to two early in 2015 and the business has received funding and support from Business Gateway Edinburgh. Might other potential (and even existing?) operators around the UK and Ireland be able to get assistance from their local business incubators? It’s something well worth considering. Logiclock of Nottingham have a story in the Nottingham Post about their background and opening. 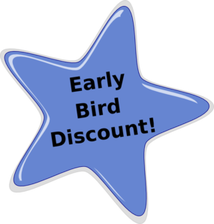 The site also has fifty half-price tickets available as an opening discount for teams who are willing to dig through the web site and find the unusually-coloured digits. If you’re good enough to play and win their pirate-themed game, finding this code should be a snap. It didn’t raise mass media interest, but it did raise a smile; Puzzlair of Bristol recently had their youngest player ever, a 10-week-old baby. By implication, this baby did manage to break out in time… inside their nappy. Not a UK story, but really interesting: Escape Games of Toronto were profiled in Canada’s largest newspaper’s “Business Club”. The site has five rooms, with three more coming soon, and a large lobby where you can borrow board games to play on-site before or after your escape mission. (A good match, though it must help that Canada is so large that rents might not be nearly so much of an issue as they are in the UK.) The site is recommended by Toronto Room Escapes, a rare honour, though the Escape Games Review, er, review is also well worth reading. It’s particularly interesting in that it discusses what a really high-end site has to do to survive in an extremely crowded market, far more crowded locally than any in the UK, even that of London. This site is much more bullish about exit games’ future than the proprietor is, though perhaps Toronto and Budapest over time might go to show what market saturation might look like. The article is extremely interesting for its view behind the scenes and also for the free consultancy provided by a number of the best local business brains, which might yet prove food for thought, subject to local adaptation, for site owners closer to home. One of the early highlights of this blog was an interview conducted very nearly six months ago with Paul Bart, the CEO and founder of The Escape Hunt Experience. At the time, the brand had three sites open in three different countries and ambitious expansion plans. In just under six months, there are now twelve sites open in seven countries, with a thirteenth site (in Brisbane, Australia) opening in just a couple of days’ time. The expansion plans roll on at a considerable rate of knots, so it’s exciting to get back in touch with Paul. The questions asked by Exit Games are tagged with EG and Paul’s responses with PB below. EG: It has been nearly six months since your previous interview. When the world of escape games is moving so quickly, that’s practically a previous era. What have been the big changes for you over the last six months? PB: Hi Chris, thank you for your time. Yes, it is that long but feels a lot less as this is such an exciting business that moves so fast. My days whizz past; they really do! Well, I guess the biggest change is scale. We have grown enormously and so has the market in general. We now have branches literally all over the world and everywhere we go I am pleased that people know us and now what we do. Of course, there are so many other games springing up but this is fantastic as it shows how popular the genre is. EG: At the time, I believe you were talking in terms of having deals signed for 30 branches by the end of 2014 and for 100 branches by the end of 2015. Now, you have revised those estimates up to having deals signed for 75 branches by the end of 2014 and for 500 branches by the end of 2015. It’s very exciting to see those numbers having grown so quickly! What factors have you identified as being responsible for the difference? PB: Quite honestly, it’s the popularity of escape games in general and specifically what we do. We receive literally hundreds of inquiries each month and we are very, very flexible as to how we work, but we also have to qualify our future partners as any business does. Nevertheless, demand outstrips the rate we can expand, hence we are up to a number we will certainly now reach of 75 branches signed by the end of this year. As I write now we have 12 branches open, 18 will be open by Christmas and by the end of January-February we will be up to 25 open branches worldwide. The lead time for some branches to open is quite slow as we do things 100% legally and properly so that is where we have the difference in the numbers but be assured we will open these other branches in due course as they are all agreed and already planned. It depends on the location. EG: How many of those deals signed have actually turned into open sites? The locations list suggests nine, but looking at individual locations’ web sites, it looks like many more than that. This figure must change very regularly; it looks like the Melbourne site opened yesterday (at the time of the interview!) and the Brisbane site is opening at the end of next week. PB: Yes, you are right. We keep this table pretty much up to date. As I said, we need time to open branches but we will open in all the places we list. Look forward to 18 branches open worldwide by Christmas, all with different games! EG: What are the biggest challenges people have faced going between signing a deal and opening a site? PB: It can be many things. We offer a very comprehensive support package but every location has local challenges. Our list of signed branches and opened branches do not correlate at all as we can open in 3 weeks as we did in one location and other branches take 9 months. It is all about getting proper planning permission mostly. Some other operators cut corners, but we don’t so it takes longer for us but we get it right as we can’t afford any mistakes with our brand presence worldwide. EG: Can you be more specific at all about the deal you have signed for the US? It looks like a country begging for national chains as well as the first generation of one-offs that exist dotted around from state to state. PB: Yes, this is indeed an interesting question. First of all, it is the US and Canada not just the US, so it’s all of North America, especially since we already have a Master Franchise Agreement signed in Mexico, the third of the North American countries. The US / Canada has been on our horizon for some time but there are extremely strict franchise regulations in place so we needed a very special partner to handle all this. I am delighted to announce we have that in place in the form of a team of extremely experienced business people who will cover the whole of the US and open branches very soon all across the US and Canada. It took months of careful legal work and planning but it will be worth it. We will open in New York in January and the across the US and Canada very soon after. We have a lot of fantastic surprises in these branches so stay tuned! EG: Investigation suggests that the 10-room London branch of the Escape Hunt Experience was the single location with the largest number of rooms in at least the English-speaking world when it opened, and is believed still to be joint holder of the world record. How big can a centre get? PB: London truly is a big branch but actually many of our branches are very big: Phuket has 8 rooms and all our other branches have around 6 rooms worldwide. We are looking at the idea of mega centres but the issue there is the space required tends to mean they will be less central and one of our core principles is to be very centrally located for access. EG: How close are you to being able to make further announcements closer to home here in the UK? PB: Soon! We are currently in discussion to open across the whole of the UK and Ireland. Soon! EG: Are you aware of any of the sites featuring famous names who have come to play? EG: I see that the global hub is expanding and you are offering positions so how has your daily routine changed over time? EG: What aspects of best practice have emerged from the various locations that you have fed to other sites? PB: Great question, Chris. As we are the only truly global operator worldwide, we have learned a lot and we keep learning. I like to keep us all humble and cultural differences reinforce this. What works in London might not work in Perth, a game style in Ho Cho Minh might not be right for Brussels etc. For us now, it is all about the challenges of scale with control and local variation. We really want each branch to feel like The Escape Hunt Experience but also to feel local. We closely monitor every branch performance and learn and learn and keep learning. I am not sure if you knew or it was an accident but in my previous career I was a best practice business consultant so this comes naturally to me. EG: In your previous interview, you hinted at continued growth, then diversification into new areas. The first half of the plan is going very successfully; can you reveal any more about the second half of the plan? EG: Just how large can experiential entertainment get? What other activities do you see it eventually rivalling for global popularity? PB: That is another great question. I think the growth so far shows that people have an insatiable appetite for this type of entertainment. Can we even any more classify all this as “escape games”? I wonder…! For me, what we do is very particular and special. Our games are so far apart from other games as opera is from cinema. I think it’s high time to divide up the market place so customers know what they can expect. All escape games are a great addition to the entertainment arena and I respect everyone who enters this space but we are all quite different really. I have a lot of ideas here for classification as you can imagine! Just ask me some time for the new “escape game dictionary”, Chris! EG: When you are in a position to have several different branches in the same country, have you been able to set up interesting interactions between those branches and their players? EG: Is there any merit in the concept of competition between different locations of a single brand? PB: We run friendly competition amongst all our branches but nothing more than that. We believe in offering great games and great service first and foremost so really we tend to compete over things like best TripAdvisor rank and reviews, mostly. EG: How do you get players to move from escape games being an interesting thing to do once or twice to having escape games being one of their main hobbies and interests? PB: That is one of the key tenets of our business, Chris. We are all about a place where everyone can go again and again. I hinted earlier about the new generation games. These offer huge excitement in terms of different game play, time play eras and game logic flow. 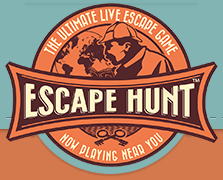 When you also consider that each of our branches has different theming, different games always changed twice a year and different locally themed merchandise, it all adds to a reason to choose The Escape Hunt Experience as an activity in every place a customer finds it. We want all our customers to associate us with great games, great service and of course a new challenge every time they play! Thank you, Chris, for your time. It’s very kind of you to follow our progress. Thanks so much for that, Paul! This site looks forward to more exciting announcements over time, and also to getting to talk with many of the other influential minds that have shaped the hobby. A little too late for the above logo, one of the UK’s longest-running hunt traditions is gearing up for its annual Christmastime conundrum. In 1985, an IT consultant at Logica, Paul Coombs, had the idea for an armchair treasure hunt, vaguely comparable in style to that of the Masquerade book from a few years previously, complete with treasure buried somewhere in the south of England. He co-ran the first four year’s hunts and ran more in later years. Every year but once since then, an annual hunt has been set for members of Logica and their friends. Historically, Logica have provided some backing for prizes (moderate cash prizes, but often many of them). After Logica’s merger with CGI a couple of years ago, this year the cash prizes have been eliminated and the ties with the company have been severed. From now on these will be referred to as Pablo’s Armchair Treasure Hunts, after the crossword compiler-style nom de guerre by which Coombs was known. This year sees the hunt open to allcomers and a renewed push to attract first-time players with a resources section, so perhaps it’s a good year to get into the habit. The hunt is to be respected for its tradition as well as its creativity. Happily, a full archive of 28 hunts, plus solutions and setter’s notes exists, often with tales from those who played each year. This is the best way to pick up the form. Taking the 2012 hunt as an example, it’s not uncommon that there are pictures to identify, cryptic questions (usually about the year’s events – though, historically, there have been references to Logica and Sean Bean in many years) to answer, anagrams to crack, some hidden messages and a final code. Answering the questions gives you the source material to crack the code which will give you the directions to the physical hidden treasure. While there is glory in being the first to find the treasure, there’s also a prize awarded for the most complete solutions, measured through a scoring system. Question answers, decoded references, solved directions and more each earn points. If there are, say, thirty teams submitting answers to a year’s hunt, then a question that is solved by 29 teams and missed by one team will earn one point for the 29 teams that solve it. A harder question that is solved by two teams and missed by 28 will earn 28 points for the two teams that solve it, and so on. In this way, you can make meaningful, measurable partial progress even without finding the treasure outright. That’s the basic form; the hunt varies from year to year. For instance, the 2013 hunt features a mighty jigsaw, but this is only the starting-point; further clues were wound around the rest of the Web, including three Facebook accounts, an assortment of virtual treasure sites and more. Possibly the most impressive of all was (Coombs’, naturally) 1992 hunt which dispensed with overt questions altogether; instead, there were dozens of images, which came from sets of images with one missing. Identifying the missing item from each set sent you on your way. Brilliant! This post is happening today because the “poster” (actually, an online video) for the 2014 hunt has been released. Form suggests there are likely to be some clues to this year’s event at least alluded to in there. The text is a reference to the Hitchhiker’s Guide to the Galaxy; if that turns out to be the theme, or one of the themes, then it’s likely to be a popular choice. Further details will be teased out in a week’s time, with the puzzle itself released in mid-December. Coming soon to Edinburgh: Can You Escape? This site has written about Can You Escape? of Edinburgh previously, but it’s a thrill that there is now enough progress and hard fact about the site that it’s possible to write a “Coming soon” article about it. Dr. Herr Kutz has hatched an evil plan to infiltrate the water systems of Edinburgh that will cause the population to go bald. We require agents to enter his home at 16 Barber Street and retrieve the secret formula from his safe as part of Operation Bald Eagle. The man is a genius, so we need a team who can release their inner detective and solve the mystery so we can save the city! The marketing campaign is a textbook example, well worthy of attention by those uncertain about their marketing, though exact emulation of it might be a tribute too far. The web site is gorgeous; split-flap delays (also known as Solari boards, though the Czech term Pragotron is even jollier still) are always welcome, the site’s Twitter feed has already attracted buzz by running a “guess the site’s location” competition, tempting-looking keys are already being sent to local bloggers and press, who are as intrigued to receive them as you might hope. The scheme of hiding giant keys around the city with prize tickets for VIP week being up for grabs is also going to be great publicity. This all bodes extremely well, being signs of people who know what they’re doing, they’ve clearly thought about it for a long time and it’s a relief that people who backed the crowdfunding scheme half a year ago will get their promised reward. It’ll be great fun to follow this site’s progress; let’s hope that the game itself matches up to its packaging.